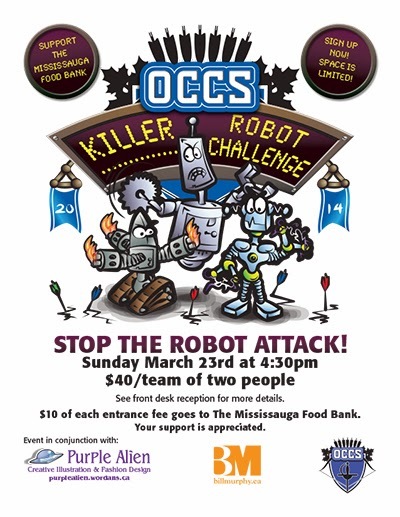 This is an event that Purple Alien Fashion is sponsoring to rase money for The Mississauga Food Bank. 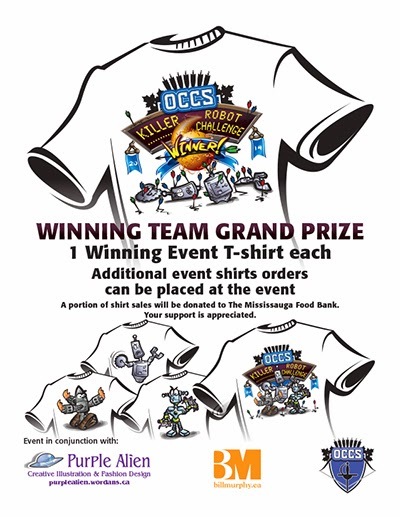 The shirts and posters are to create awareness for Purple Alien Fashion and a portion of the money from sales of the shirts on event day will go to The food Bank. I like the designs and had a lot of fun working on the robots and info pin ups. OCCS is an Archery club in Mississauga Ontario Canada and these pin ups were placed on the message board at the club to inform members. Looking forward to the event. It should be a lot of fun.